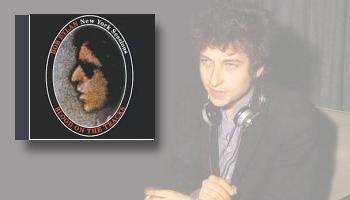 Bob Dylan had taken to painting in 1974, to try to find a new way to put songs together. He’d grown tired of his recent results and so had the critics. He was declared past his prime and out of puff. Nothing new to say. His painting teacher was a grumpy old school Central European named Norman Raeben who was never one to think twice about saying exactly what he thought. 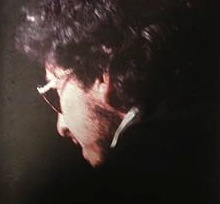 ‘You’re tangled up in blue,’ he scolded Dylan, one day when the singer seemed to be painting only with one color. His master’s voice stuck in Dylan’s mind. When in early autumn 1974 he went into a New York City studio to record his next album he named the opening song Tangled Up in Blue. He worked with a top-notch band of sessions players and made the album, Blood on the Tracks, in typical style. Fast, spontaneous, unscripted and flying by the seat of the pants. His band found it hard to keep up or follow. But they were exhilarated by the music they were making. 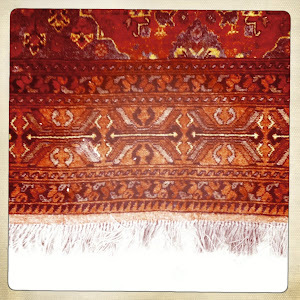 The album was a ‘wrap’. Columbia Records had printed the cover and were about to press the wax but Dylan himself was less than happy with the results. The more he listened to the album back ‘home’ in Minnesota the less he liked what he heard. He asked his brother David to get some local Minneapolis musicians together, ‘I want to make it again,’ he said. Sound 80 studio was a local Twin Cities landmark. Even I, who had absolutely nothing to do with music making, but read the music reviews in the Reader every week, felt proud that Minneapolis had one of the country’s best recording studios. Artists like Leo Kottke, Dave Brubeck, Cat Stevens and Prince recorded there and though I didn’t know what it meant, I knew that Sound 80 was the first studio in America to make a digital recording. That Dylan had recorded Blood on the Tracks there was also part of our local ‘coolness’ factor. 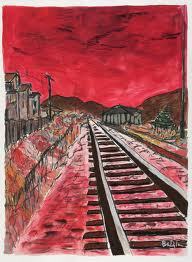 Blood on the Tracks is my favorite Dylan record of them all. And for years I was dismayed not to be able to find any reference to Minneapolis musicians on the sleeve. I wondered if perhaps the story of Dylan using local players to back him on the album was an urban myth. But of course, what happened was that since Columbia had already printed the jackets they didn’t want to bear the cost of designing a new one. After all, Bobby hasn’t been selling too many records lately. Best cut costs. Of course, we all now know that Blood on the Tracks is not only one a good album but one of the most admired pieces of popular music artistry in recent history. He had found his voice again, plus a new way of using it. Tonight, the Washerman’s Dog shines a light on the ORIGINAL New York version of the album which sounds familiar but has a much darker feel than the one we’ve all been in love with, and know by heart. But there is beauty in these versions without a doubt. Dylan’s voice offers different shadings of each classic song and in many places the lyrics are different. The arrangements are more complex and the instrumentation more diverse than the spare, ‘small-group’ sound of the version that was released in 1975. Its not often we get two versions of the same masterpiece! File requests a password. Can anybody help me, thanks? don't know why that should be. I've not attached any password to any file on this blog.